Mouth breathing can lead to orthodontic problems as well as other problems, such as lack of oxygen and poor sleep habits. This leaves children prone to daytime fatigue, an inability to concentrate in school and headaches. 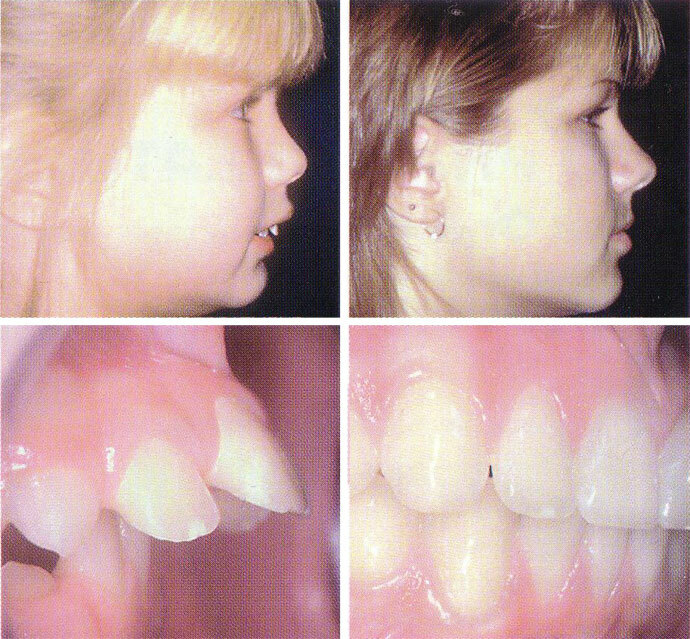 Patients want the best for their children; straight profiles and beautiful smiles. By treating problems early, you save money and may prevent the need for more extensive future treatment. Crowded teeth are caused by narrow arches. By developing the arches at an early age, we may prevent or eliminate the crowding of permanent teeth. Another advantage is that early treatment often eliminates the need to remove any adult teeth. Let us meet your child's orthodontic needs as early as possible! It is critical to correct any functional or jaw problems as soon as they are diagnosed. 75% of 12-year-olds need orthodontic treatment. Yet 90% of your child's face has already developed! By guiding facial development earlier, through the use of functional appliances, 80% of the treatment can be corrected before the adult teeth are present! Younger children between the ages of 8 and 11 are often much more cooperative than children of 12 to 14. Another advantage of early Phase Once treatment is that children will need to wear fixed braces on their adult teeth for less time. Almost 50% of children who need orthodontic treatment due to a bad bite have underdeveloped lower jaws. Functional appliances can reposition the lower jaw forward, improve the child's profile and correct the bite problem - within 7 to 9 months! See what a difference functional appliances made to this young girl's profile. 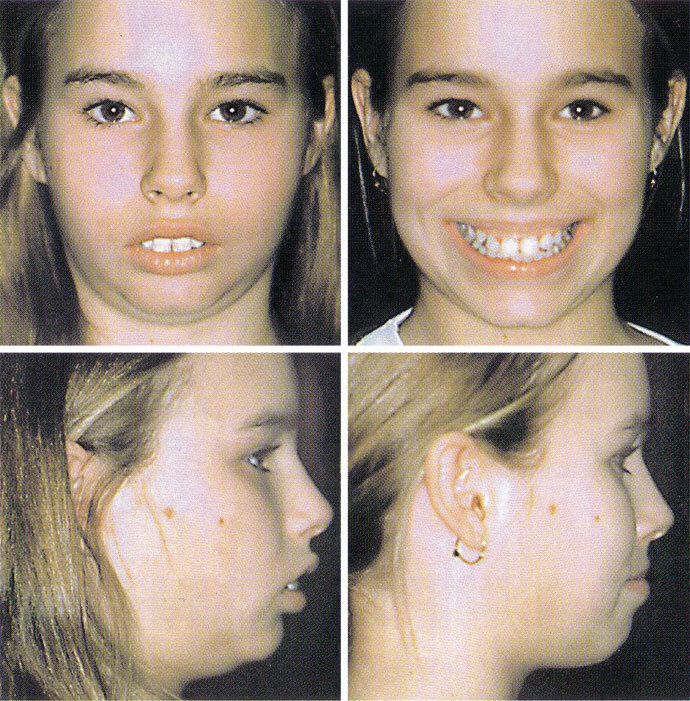 Treatment began at age 7 and the after photo was taken at age 11. Modern orthodontic treatments achieve amazing results quickly and easily. As a result, many more adults are now undergoing orthodontic treatment to enhance the appearance of their smile. Traditional solutions: Traditional braces include bands, where metal strips reposition teeth; lingual braces, which are attached to the backs of teeth, out of view; and brackets, which are bonded directly to teeth. New Solutions: The latest trend in orthodontics utilizes removable clear plastic "aligners", which fit snugly over the teeth to reposition them. Approximately every two weeks, new aligners are inserted, to accommodate the repositioning of the teeth. No metal wires or bands to irritate your mouth, and best of all, most people won't notice you're in treatment. Invisalign®, the clear alternative to braces, has been chosen by over 490,000 people who want amazing smiles. 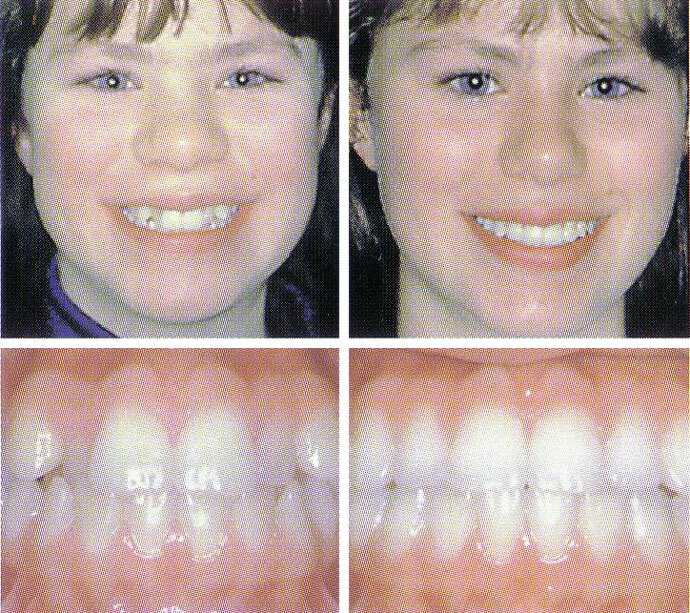 In fact, take a look now at "Before and After" photographs of Invisalign cases. You'll see the amazing results Invisalign can bring. Getting started couldn't be simpler. The path to your amazing Invisalign® smile begins here. Whether you work with an orthodontist or dentist, your certified Invisalign provider will give you an overview of how Invisalign works, evaluate your situation, and answer your questions. Want to find a certified Invisalign provider near you now? Many offer an initial free consultation, so be sure to ask for yours. You and your doctor develop a treatment plan specifically for you. Then the doctor takes bite impressions of your teeth, which Invisalign will use to custom-mold a series of clear, removable aligners that will gradually move your teeth into an incredible new smile. Step 3: Your aligners are created. The advancements in technology that led to clear aligners were developed by Invisalign. Your aligners are created via precision computer mapping and design, then are shipped to your doctor. 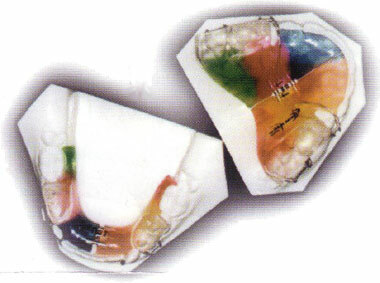 You'll receive your aligner series, switching to a new aligner every two weeks as your teeth move. Just wear each set of aligners night and day for a two week period, removing them only to eat, brush and floss. Visit your Invisalign provider on a regular basis for progress checks. Each case is a little different, but on average, treatment lasts about a year. Then you can show the real you with an amazing new smile!